What Is Clicker Training (Marker Training)? 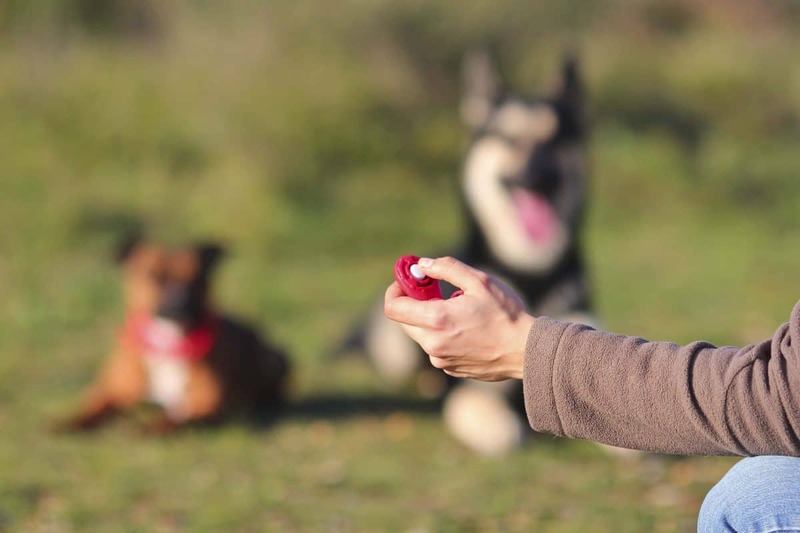 Clicker training or Marker training is a very popular dog training method used around the world today. It was first used with killer whales at Sea World when the trainers were attempting to teach the whales to jump through the hoops high above the pool. You can’t really toss them a fish while they’re in the air!. So instead, the trainers used a whistle and taught the orcas that the sound of the whistle reliably predicted a fish. Then as they were working on teaching the orcas to jump through the hoops, they would blow the whistle when the orca was partway through the hoop. The orca would finish the jump and swim up to the trainer to receive their fish! 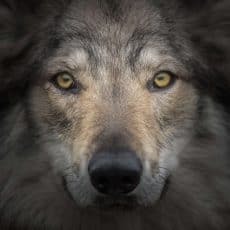 Karen Pryor took this concept and converted it to a handheld device which we call a Clicker because it makes a clicking sound. (Fun fact – it used to be called a Cricket because some thought it sounded a little like the noise a cricket makes). The clicker works the same way as the whistle with the orcas. 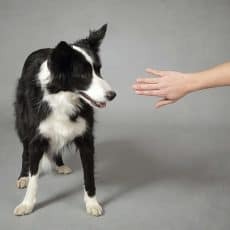 We teach the dog (or any animal) that the sound reliably predicts a reward and then we can use it to tell the dog when they’ve done a desired behavior and earned payment. 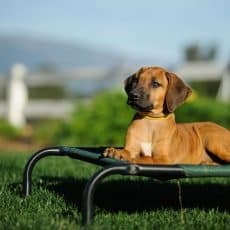 It is the foundation to Positive Reinforcement (R+) training. 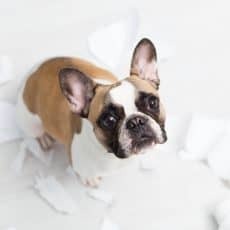 Essentially, we use a noise maker such as a clicker or a whistle, or a verbal marker such as “Yip” to tell the dog the moment they’ve done a behavior that earns payment. Payment can be anything the dog wants in that moment. It might be (and often is) food. But it could be play, a particular toy, cuddles, or access to something or someone or someplace the dog wants. We call the Clicker or the word the “Reward Marker”. That sound tells the dog they’ve just earned reward. But, many trainers, my self and Dr. Ian Dunbar included, like to also have what we call a No-Reward marker. This is a different sound or word/phrase that indicates to the dog that they have not earned a reward. I use the phrase “Try again”. I say it in a soft tone, never annoyed or angry. And in this way I can provide binary feedback to the dog I’m working with. I can tell the dog specifically when they’ve done it right – CLICK! 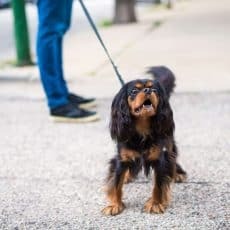 And I can tell the dog “hey, that wasn’t really what I asked, so please try again.” This way we can maintain continued open communication with the dog and they will better understand what our expectations are. NOTE: I don’t use the No-Reward marker when I’m first teaching a skill because the dog doesn’t yet know what I’m asking. Once the dog is consistently doing the skill on cue, I will introduce the No-Reward marker if they then fail to respond to a specific request. 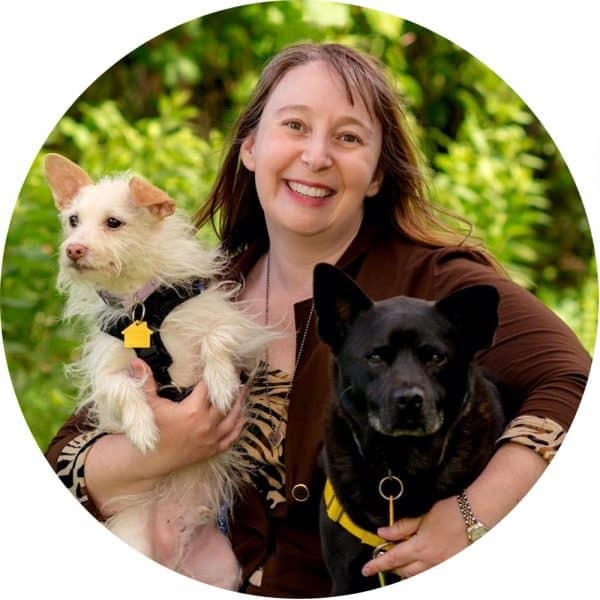 Jody Epstein is a certified behavior consultant, certified professional dog trainer, and holds a master’s degree in animal behavior from Tufts University. 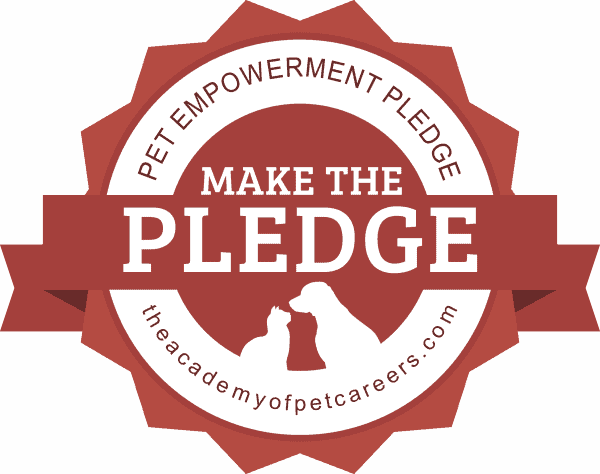 She has been training professionally for more than 11 years and is pleased to be part of the Academy of Pet Careers team, teaching the next generation of trainers. Look out for her blogs on all things dog training and animal behavior.